The permanent instability of the economic context as well as the on-going evolution of customer needs forces companies to have a clear and complete -upstream and downstream- vision for their products. Generally, companies have historically implemented totally heterogeneous information systems following the extension of their business. This turns achieving a transversal view of the company into a real challenge. The past decade has focused Information Services on the strategic importance of implementing a single source of information, the “Single Version of the Truth” shared business-wide to ensure the consistency of the business strategy execution. Today is still a challenge for MDM (Master Data Management) implementation and turning into production such solutions, since these are very strategic for Retailers, impacting all the businesses. 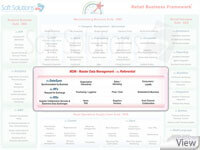 Soft Solutions, innovating in the last 1990's with one of the first retail-dedicated MDM solution, is continuing with its expertise to provide retailers the unique information management solution, enlarging perimeter to extended information (sales, stocks, orders, margins…) in addition to Referential data, turning MDM into MIM, Data into Information. The MDM / Referential projects are the most difficult to quantify in term of ROIs. 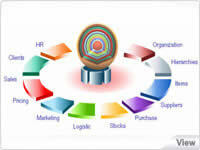 Indeed, the benefits are not obvious and often hidden into the business services related. For example, ordering process will be much more efficient if available items are up-to-date with the right ordering status live. However, at a certain point of IS extension, the need of homogeneity and building a single layer for information management is the right decision to ensure an optimized achievement of business processes. According to research conducted by A.T.Kearney with internationally recognized retailers, it appears that 30% of the information found in merchandise databanks is erroneous. Knowing that each piece of inaccurate information requires 25 minutes to be manually corrected at a cost of $60 to $80 USD, it seems vital to establish a rigorous process that guarantees optimum quality throughout the life of the information. Benefits of single and up-to-date information will impact on all the businesses making the whole company strategy execution more efficient. 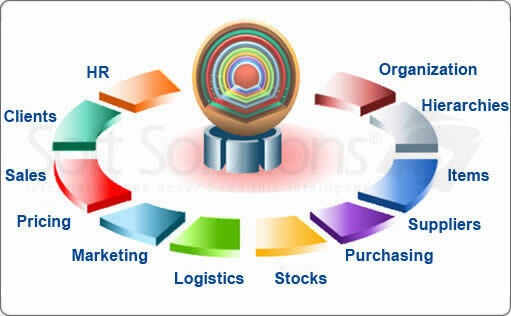 In addition, Soft Solutions considers that movement information and, by extension, forecast simulations, are part of the needed common source of information and provides today with its Master Information Suite the MIM (Master Information Management) to deliver a unique source of information to all the businesses. With Master Information Suite, as the foundations of Retail Business Suite, Soft Solutions ensures to optimize the execution of business by certifying the quality of the information. Implementing the “Single Version of the Truth” is the step beyond to make retailers Information Systems to the reference for all the businesses. 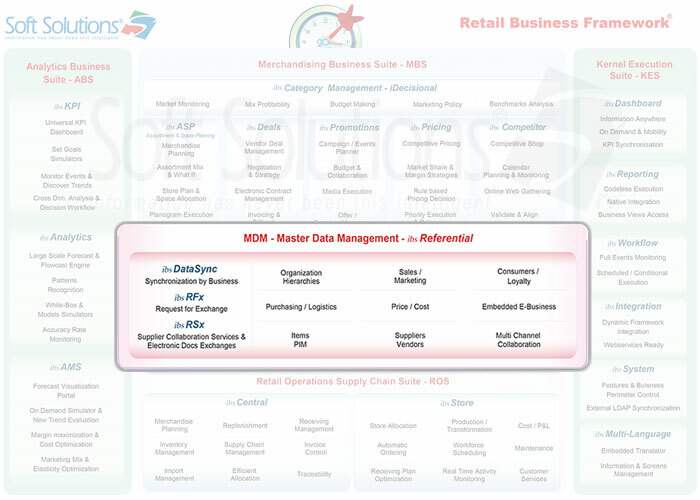 Master Information Suite is a unique Retail Information Management Solution that centralizes information in a single place that can be synchronized with legacy, ERP and best-of-breed applications within a retailer's IT landscape. It enables the management of all aspects a retailer's information needs, including item, supplier, stores and organizational hierarchies, as well as being extensible based on individual retailer requirements. It simplifies data exchange and ensures that a single version of the truth is maintained for all applications in the enterprise.